Qualcomm has taken the wraps off its latest mobile processor, the Qualcomm Snapdragon 210, which comes with support for 4G LTE, and it is designed for entry level smartphone and tablets. The New Qualcomm Snapdragon 210 comes with 4G LTE-Advanced, and it features a quad cor 1.1GHz processor and an Adreno 304 GPU. 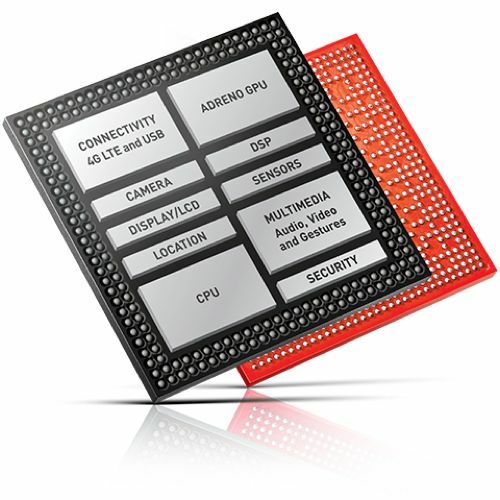 The Qualcomm® Snapdragon™ 210 processor supports 4G LTE for everyone. And with its combination of features and performance that don’t compromise battery life, budget mobile devices will never be the same. Tight integration and support for Qualcomm® Quick Charge™ 2.0 technology, for up to 75% faster charging. The Snapdragon 210 comes with support for full HD video in 1080p, it also comes with support for Bluetooth 4.1+ BLE, 801.11n WiFi, and up to 8 megapixel cameras. As yet there are no details on which will be the first devices to use the new Qualcomm Snapdragon 210 mobile processor, as soon as we get some more information, we will let you guys know.